The BASIC drawer cabinet impresses with its solid workmanship and highly robust drawers. These feature sufficient capacity to accommodate heavy items such as tools. You can choose the cabinet size and number of drawers to suit your requirements. 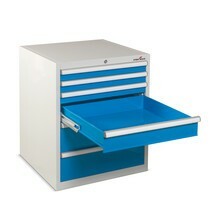 The Steinbock® drawer cabinet with 140 kg capacity per drawer is characterised by its precise, high-quality finish. 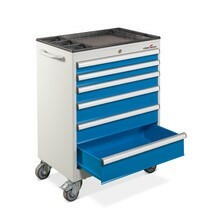 The drawers are extremely robust and offer sufficient capacity to accommodate heavy items such as tools. 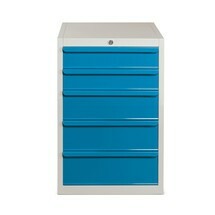 You can choose the cabinet size and number of drawers to suit your requirements. 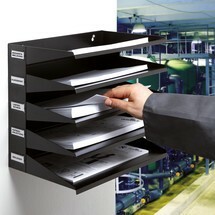 The metal sorting station enables you to sort paper documents clearly and close at hand while taking up little space. It is particularly long-lasting thanks to its highly robust finishing.